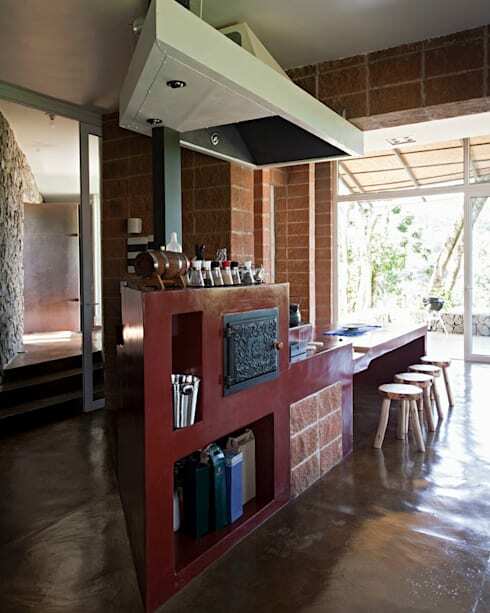 We know what you may be thinking: “Concrete in my kitchen? But it’s not industrial!”. 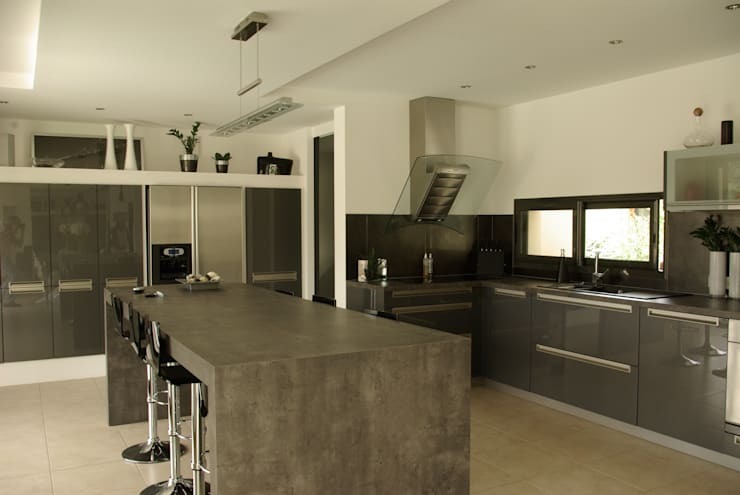 Well, get ready for a stylish surprise (six, in fact), as we are about to show you how concrete can be used in a kitchen (for surfaces other than the floor), regardless of the design style. We can all agree that there is something exceptional about bringing a raw material into the kitchen, whether it’s wood or stone – well, concrete can flaunt a look that is equally fantastic, seeing as it can be styled up or coloured in numerous ways to fit in with your culinary space’s relevant look. If you look quickly, that concrete surface could be mistaken for marble or granite. It just shows you how excellent the right finishing can be on a concrete surface, giving your kitchen a cutting-edge look that can be modern, contemporary, rustic, or industrial. 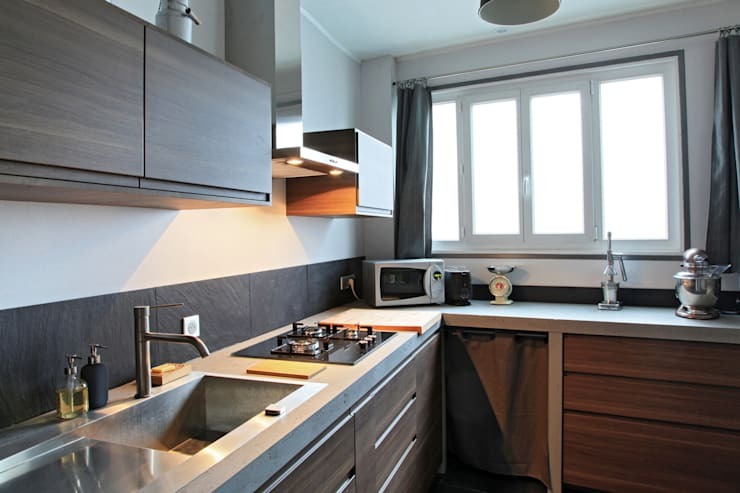 What’s more, if those concrete surfaces are coated correctly, cleaning up your kitchen will be a picnic, seeing as a quick wipe-down will be all that’s needed. 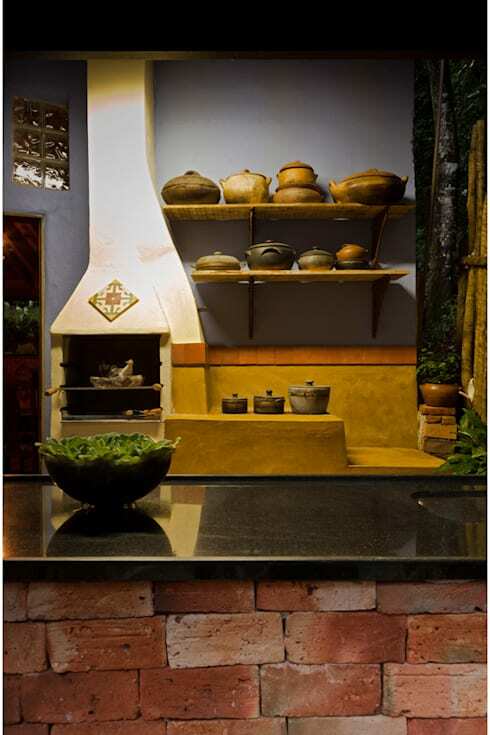 Want the right materials that will boast a raw and rough look in your outdoor kitchen / braai area? Concrete can most certainly help you out, as this delightful countertop in our example above proves. 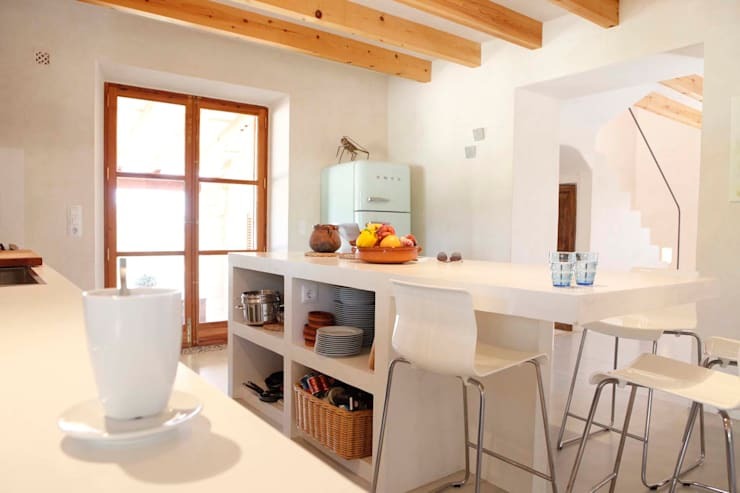 Interior designers, kitchen planners and much more – we have them all here on homify. See our professionals page for more info. Love your marble countertops, but still want to bring in some concrete? Then how does a concrete-clad peninsula/island grab you? 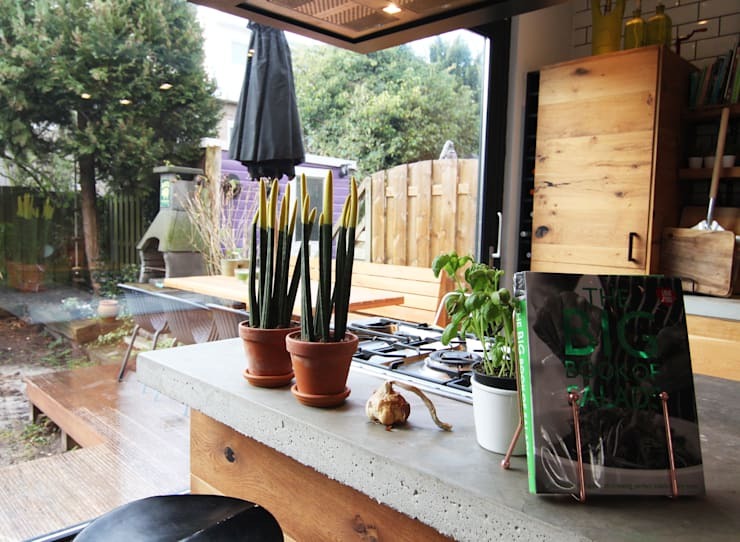 Just take a look at the kitchen above, and how that concrete island gives the space an attractive yet rough edge. Think it would be too much if both your floor and counters are made from concrete? This example above serves to prove you wrong; just see how stylish and glossy both the flooring and counter look without it being overkill – that’s because they’re different colours, and also because additional materials (like stainless steel and brick stone) break up the monotonous look ever so slightly. We love the soft, heavenly look that this concrete island brings to the space, as it is painted in a beautiful white that can be perfect for any style, from industrial and modern to Scandinavian and rustic. Who knew a rock-hard surface like concrete could look so… fluffy? Want your kitchen to be a throwback to yesteryear? Then we recommend this concrete-clad firewood stove, which can fit into styles ranging from Mediterranean and rural to rustic. And just see how interesting this kitchen becomes when mixing the different materials: concrete, granite and brick, each one stylishly adding its own unique look and texture to a space. To keep your house looking hot as ever, see these: Sensational wood burning stoves. Which idea will you pick to bring concrete into your kitchen?